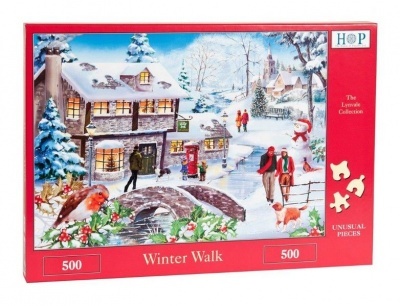 Winter Walk 500 Piece Jigsaw Puzzle provides an enjoyable festive Christmas tabletop puzzle from the House Of Puzzles range. 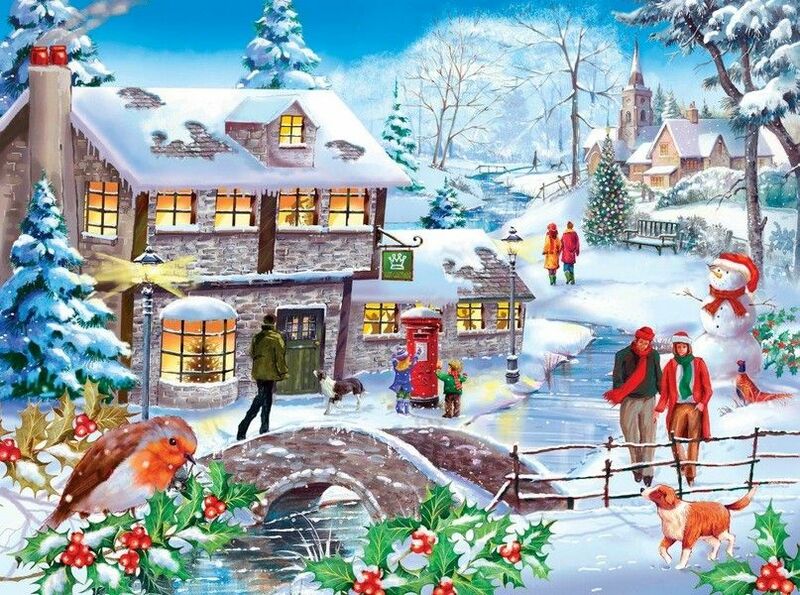 Part of the Lynvale Collection, this deluxe jigsaw is comprised of unusual & varied puzzle pieces, to construct a warming Winter masterpiece suitable for framing or re-assembly. Completed puzzle provides a delightful Winter scene for the Christmas season. Made in the UK.